Do I Have a Drug Case? Did your pharmacy give you the wrong prescription drug or the wrong dosage of a medication? Did it cause you serious medical problems? 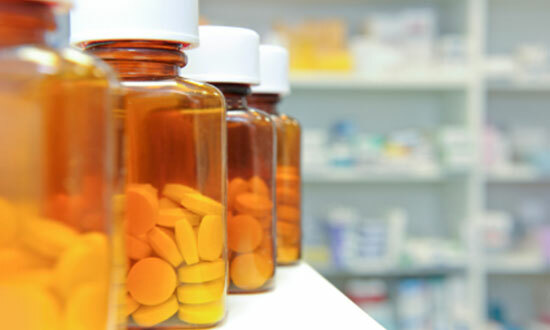 Did a pharmacy error cause the wrongful death of a loved one? Drug stores and pharmacies must provide you with the correct medicine. If they make a mistake and hurt someone, they can be held responsible for the medical bills, missed work time, and pain and suffering. I Think I Was the Victim of a Pharmacy Error - What Should I Do? Taking the wrong medicine can be a frightening experience. Unwanted side effects can lead to potentially serious and even life-threatening injuries. That's why it's so important for pharmacists and drugstore employees to pay close attention to your prescription and provide you with the correct drugs and dosage that you need. Always check to make sure your local pharmacy or drug store fills your prescription exactly as prescribed by your doctor. If you checked your medication and you still became a victim of a pharmacy error, seek medical treatment immediately. Your health should be your number one priority. Then, preserve as much evidence as you can – keep the pill bottle or packaging, as well as the original prescription bag and drug label. It should have a prescription fill date, as well as the prescribed dosage amount. Then, contact the Pennsylvania law firm of Edgar Snyder & Associates for a no obligation, free case review. You may have a case, but there's only one way to find out. Get the compensation you deserve with help from our experienced attorneys and legal staff. Call 1-866-943-3427, or fill out the form at the top right of this webpage for your free legal consultation – no strings attached. We're here to answer your questions and help you learn your legal options. Our phones answer 24/7, so call any time. Or, you can use our easy and convenient "click to chat" and "click to call" options online. Get started today.